On the final day of the school year, many children in school will fidget in their desks, anxiously awaiting their beloved summer break. But 300,000 children across central & eastern North Carolina have something else on their mind: Will my family have enough food to eat this summer? Over half of all the children in our 34 county service area depend on the meals provided by their school as their primary source of food. For so many of them, the breakfast served in their classroom, the free meal at lunchtime, and the two days worth of food given to them every Friday are a lifeline. School teachers, counselors, and staff are not only responsible for educating these children. They are also responsible for feeding them. Take Eastway Elementary school in Durham. Principal Shayla Holeman will be the first to tell you that almost every single child in her school lives in a food insecure household. And even though she works hard every day to meet the needs of her students, she still witnesses children crying because they are so hungry. On top of her regular responsibilities at school, she personally delivers extra food to kids when their family runs out of food at home. From September to June schools surround their students with a support system to help them stay focused on learning and grow healthy and strong. But what happens to those kids when schools and their cafeterias close for three months? We know food is critical not just for a child’s physical and mental health, but also their ability to concentrate, learn new things, and their overall development during the school year. And we also know that their bodies and minds must continue to grow over the summer so that they can return in September ready to take on new lessons and master new skills. That’s why our Kids Summer Meals program is so important. Now in our 10th year administering the USDA Summer Food Service Program, we expect to serve thousands of children meals at more than 100 schools, churches, and youth centers across central & eastern North Carolina. We will also work hard in the coming months to make sure our partner agencies have enough food to provide to families at a time when there are more mouths to feed but fewer donations coming from the community. Because all kids deserve a childhood free from worry, hardship, and pain from an empty stomach. All kids should be able to look forward to the everyday play and carefree feeling that is so unique to summertime. As parents, grandparents, aunts, and uncles, we want that for our own family. As the Food Bank, we want that for all families. We know the need is great, but as we’ve all learned since elementary school, we know we can do great things when we work together. 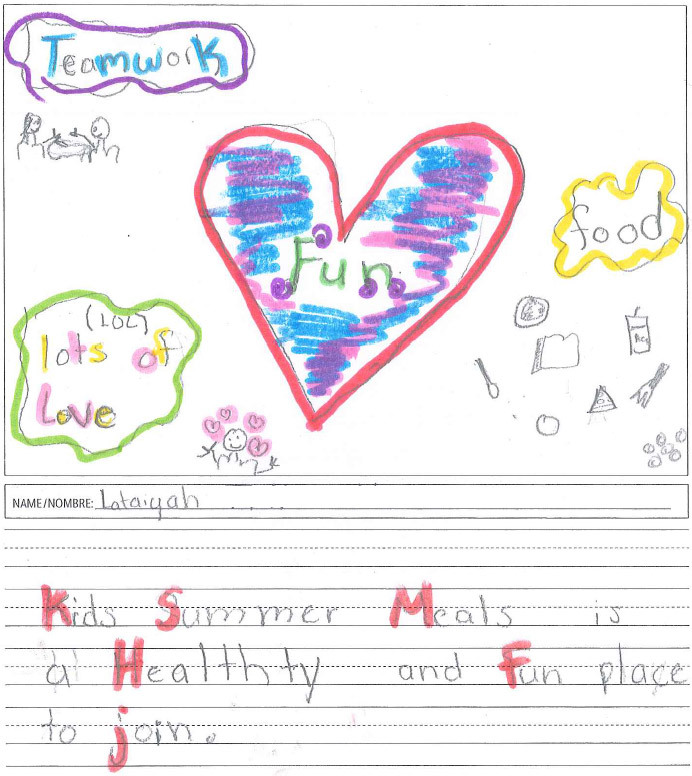 You can help support our Kids Summer Meals program and meet the increased need of food insecure families during the summer by contributing to our Stop Summer Hunger food and funds drive. Gifts are MATCHED by generous Food Bank Friends (through July 31)!